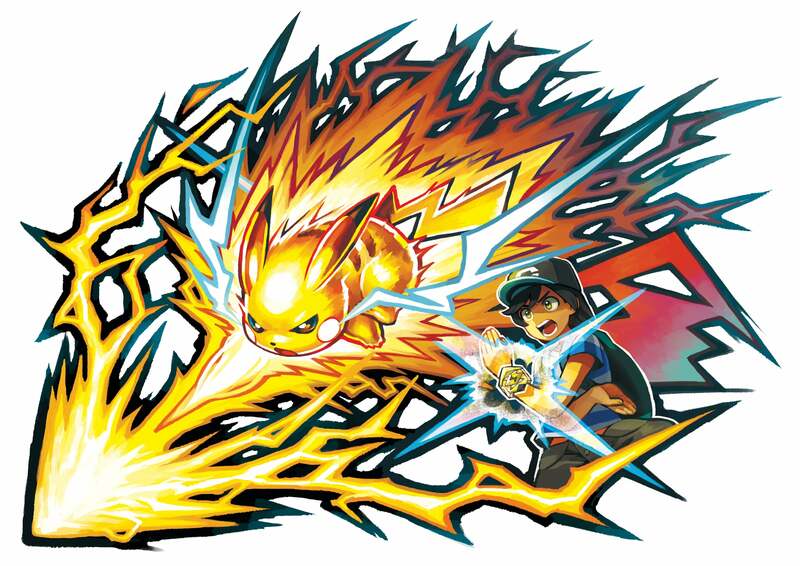 Players will be able to unleash Z-Moves in Pokémon Sun and Pokémon Moon, a new element that will be introduced to Pokémon battles. These are powerful moves that can only be used once during battle, and are the resulting explosive force for when a Trainer and Pokémon release their full power. This happens when their wishes resonate with each other, and all Pokémon are capable of using Z-Moves in battle. Two key items are required to use Z-Moves: a Z-Ring and a Z-Crystal. The Z-Ring fits on a Trainer’s arm, and Z-Crystals are set into it. If a Pokémon holds the same variety of Z-Crystal as its Trainer, the two will be able to resonate with one another.